Our product range includes a wide range of block wheels, trolley wheels, cast iron pallet rollers, cast nylon rollers, cast nylon wheel and cast nylon wheels. 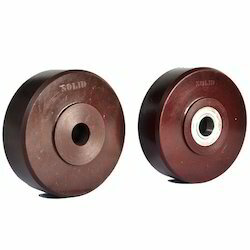 Being the leaders in the industry, we offer Trolley Wheels (Series 901 - UHMW Flat Tread) to our clients. They are available in different sizes and color that includes white, black, red and maroon. Their weight ranges from 85 kilograms to 1850 kilograms and are presented at the best rates in the industry. We are manufacturing and supplying a qualitative rang of Cast Iron Pallet Rollers for many years. These high quality products are suitably used for different applications of high temperature and they will not rust easily. 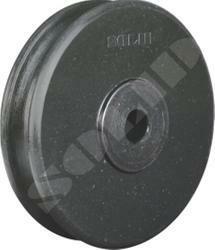 These wheels are mostly used for heavy duty ovens, foundries and movement of heavy equipment. They are free from the blow holes and abrasion. Our company is offering these wheels in different specifications in terms of size, shape and designs. 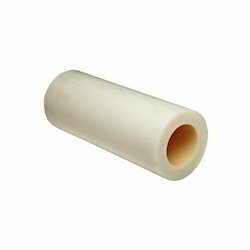 Our expert team allows us to manufacture and supply supreme quality Cast Nylon Rollers (Series 404 - Cast Nylon Rollers). Fabricated by using high grade material and latest of technology, we produce these rollers by following international specifications. Used in low to medium duty applications, these rollers are known for its durability and long service life. 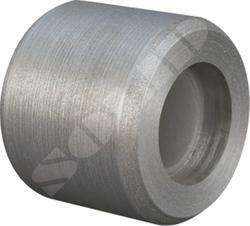 We provide these rollers in various shapes and sizes with very competitive price. Our company is manufacturing a wide range of high quality Cast Nylon Rollers (Series 404- Cast Nylon Roller) that are used for different applications. They are available in different diameters as per the requirements of clients. User can use them for easy and smooth movement of home and industrial accessories. We are applying the most innovative design and technology to manufacture such Cast Nylon Rollers (Series 404 - Cast Nylon Roller) that you can find at a very affordable price. 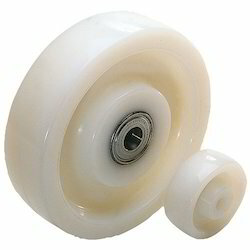 We offer a comprehensive assortment of Cast Nylon Wheel. Loaded with latest technology and finest of raw materials, these wheels are highly valued for its attributes such as light weight, non-marking and long service life. Made by following international specifications and implying stringent quality tests, our highly skilled technicians ensure flawless performance of these wheels. Suitable for wet conditions, these wheels are available in 2 to 8 diameters. 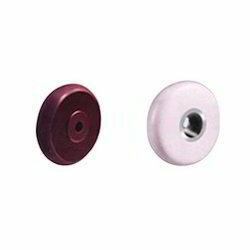 Our organization manufactures a vast range of Cast Nylon Wheels, which are used in wet conditions. These products are manufactured as per the international quality norms and are widely used in the heavy duty applications. We offer these products at competitive prices to our clients and these products are available in different shapes and sizes, which varies in diameter. 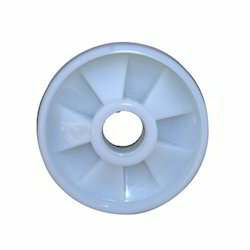 We are engaged in manufacturing and supplying of the one of Heavy Duty Cast Nylon Wheels. Our team of highly experienced engineers and technicians oversees each and every stage of production of these wheels. We follow all stringent quality tests to make sure that our customers get only the best products. 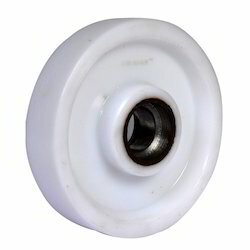 With smooth finish and operation, these hi-grade wheels are used in areas like hotels, hospitals and shopping cart. The highly experienced team of our company present Heavy Duty Wheels to our esteemed clients. They are highly durable and are used for grinding purpose in various mills and industries. They are un-breakable and are used in various industrial applications. It is presented in different colors and specifications and is presented at the best rates in the industry. Additionally, this wheel is available with a flat base that rest on its top. 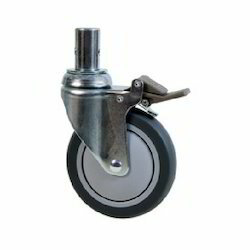 We are engaged in manufacturing and supplying of the wide variety of Nylon Casters, used in array of application in various industries due to its light weight and non-marking properties. 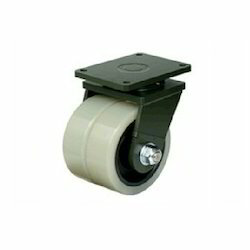 Some of the best quality raw materials are used in fabrication of these nylon castors. Few of the attributes of these quality castors are supreme performance and long service life, high production even in multiple shifts. Customer’s can enjoy customization option for these nylon castors. Nylon rollers are fabricated by using supreme quality raw materials. Its attributes of durability, dimensional accuracy and fine performance are the result of our usage of latest technology and dedication of highly skill technicians. 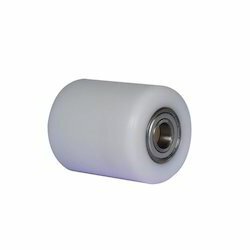 These nylon rollers are available in 2" to 8" Diameter with numerous sizes and shapes. 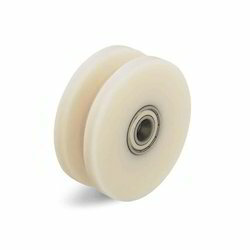 Nylon Pallet Steer Wheels (Series 403 - Nylon Steer Wheel). These wheels are super tough and long lasting. We provide these wheels with world beating price. 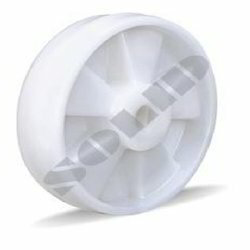 We manufacture and export an extensive range of Nylon Wheels which are used to carry heavy weight. These products are also known as steel castor of heavy duty and we offer these products at reasonable prices to our clients. There is a thrust bearing, which is utilized on the top of the taper and castor. This bearing is also used for the wheel block inner top to give free as well as efficient movement to the castor. We manufacture a superb quality range of Nylon and Polyamide Wheels, which are available with non-marking. These products are utilized in the wet conditions and having no affected from water. Our products are widely famous for their light weight and we offer these products are available in different colours, sizes, shapes and designs for various applications and also carrying different capacities. We are one of the leading manufacturers of high quality Pallet Truck Steering Wheels (Series - 903 - UHWM Steer Wheel). Their width can be increased / decreased upto +/- 5mm. Users can reduce their hub width by machining. You can access bore size that is easy to increase / decrease up to possible size as per the requirements. 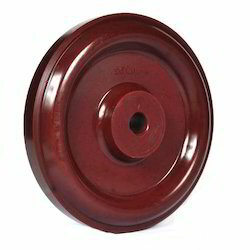 Our Pallet Truck Steer Wheels are made of high standard materials to ensure their durable attributes. You can access them at a very affordable cost. Welcome to visit our factory and do great business with us for mutual profit. We at Solid Wheels Industries, are committed to quality and world standards. 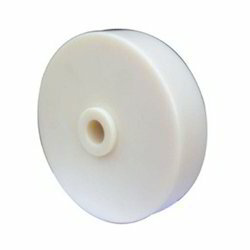 In line with these we are manufacturing Polyurethane Caster Wheel. These high grade wheels are used for in numerous sectors like commercial, industrial, and food services applications, which employ light to medium duty wheels. Our export quality wheels are fabricated by using finest quality materials. Our wheels are high acknowledged for its impermeable to water, resistant to oils, grease and solvents. Our company offers an excellent quality range of Polyurethane Wheels, which are used in the food as well as pharmaceutical industries, hotels and hospitals. These products are available with various quality characteristics and are also used in the laboratory instruments, textile carts and shopping carts. Our products are also give smooth ride and are available in different colours, designs, shapes and sizes.